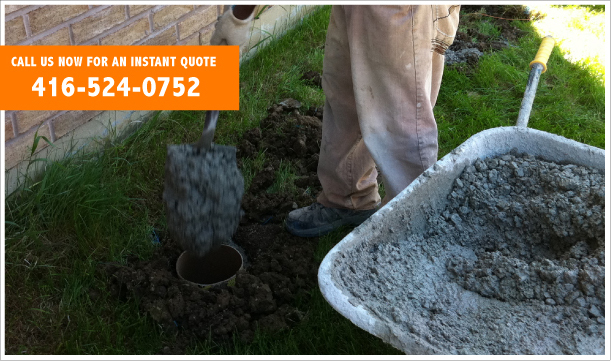 Post Hole Depot brings 10 years of experience in servicing our clients of the Greater Toronto Area. We strive to provide our customers with the best possible service and price while ensuring the job is done right and on time. Whether you are looking to have a few holes dug for that new deck or fence, or need several hundred holes dug for a larger development, no job is too big or too small for Post Hole Depot. "I first used Jamie for my back yard and fence holes back in 2008 and I was very impressed with him and his teams professionalism, speed and price so much so that i used him again for my second home in 2012." "Great service, price and quality. Jamie fit me in right away and was in and out in no time. Highly recommend!"